The Cape Cod Duckmobile takes you on a land-and-sea tour of downtown Hyannis and the harbor in a restored U.S. military amphibious vehicle. These 45-minute narrated tours depart on the hour, roll through downtown, then splash into Lewis Bay to cruise past the Kennedy compound and other sights. Tickets go on sale daily at 9:30 and in summer often sell out by noon. Tours run on the hour and half-hour, 10-5. Go here for details. Many of you have taken the obligatory whale watch, either out of P-Town or Barnstable Harbor, but have you done a seal watch? Large numbers of Grey seals inhabit the sand bars around Chatham's South Beach and Monomoy Island. This tour takes a little over an hour and (optionally) can include a time on South Beach for a swim or a picnic. At low tide hundreds of seals sun themselves on the exposed sand bars. It's a lot of fun for the whole family. The seals come right up to the boat so everyone can get a close look. Go to the Monomoy Island Ferry or Outermost Harbor Marine websites for details. How About A Dune Tour? You've probably heard about the 'famous' dune shacks in the sand dunes just east of Provincetown. Did you know that there is a dune tour that will drive you through the dunes, past the dune shacks and the remains of an old life saving station? There is also a sunset tour where you can watch the sun set over water from the tranquility of the huge sand dunes. Go to Art's Dune Tours for more details. Located in the outer reaches of Cape Cod are the Truro Vineyards. Their tasting room and gift shop are housed in a restored 1830's farmhouse. During the summer, wine tastings are held outdoors under a "tasting tent" near the vineyard. Sit down and relax as you sample several of their specialty wines. In addition, guided tours of the vineyard and winery are offered in season, from April through December. It's a lot of fun. Go to the Winery's website for more info. We knew it was going to happen. A 'sport' has developed around the GPS (for Geo-Positioning Satelite), that handheld gizmo that provides an ultra-accurate location based on geo-stable satellites. Well, geocaching is the sport of locating a 'cache' that is hidden and it's location coordinates are posted on a website (http://www.geocaching.com) . Using your GPS, you hike/drive/paddle to the location of the cache, find it, dig it up, open it and take an item from the watertight container, put another item into the container, then rebury it. After you return home, you then post your experience on the same website. This sounds like a great father-son or whole family outing. Since the caches are stored by zip-code, you can do this anywhere, even at home. Eastham has at least one buried cache. Brewster has several in Nickerson Park. Go find one of them and tell me about your experience. 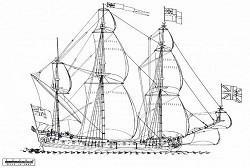 On the night of April 26, 1717, a small pirate fleet under the command of Captain "Black Sam" Bellamy lost a desperate battle with a storm in the worst shipwreck which ever occurred on the shores of Cape Cod. Bellamy, his flagship The Whydah Galley, and priceless treasures looted from more than fifty ships were lost in the shifting sands of Marconi Beach in Wellfleet. In 1984 a team led by underwater explorer Barry Clifford located this fabled wreck. The ongoing archaeological mission to recover artifacts from the Whydah is headquartered at Expedition Whydah Sea Lab & Learning Center, on Macmillan Wharf in Provincetown. Check out the museum's website. Ever thought of staying overnight in a remote lighthouse? The Friends of Monomoy manage overnight trips to the Monomoy lighthouse on the southern tip of South Monomoy Island. This is no luxury adventure. This is a 'guided' tour, with the meals cooked on a Coleman stove and the bedding is an air mattress and sleeping bag (yours). The naturalist-guide will lead nature walks and will help you understand what it must have been like to be the 'keeper' on the island, in the 'old' days. This tour is only offered from mid-May to late-September. The cost is $200/pp. Call 508-945-0594 for more info and reservations. Looking for something to do when the weather isn't the best? 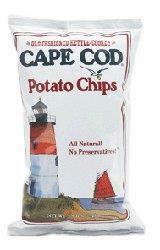 How about a tour of the Cape Cod Potato Chip factory? Factory tours are Monday - Friday from 9:00 am to 5:00 pm. It is a free, self guided tour which includes viewing the process of chips being made while reading the informational signs. Afterwards, visit the gift shop where you'll be given a free sample bag of Cape Cod Potato Chips and the "opportunity" to purchase some products and/or souvenirs. For more information and directions, go Here.